With whom the information may be shared. What choices are available to you regarding collection, use and distribution of the information. The kind of security procedures that are in place to protect the loss, misuse or alteration of information under Women Fitness control. Company Women Fitness is the sole owner of the information collected on this site. We will not sell, share, or rent this information to others in ways different from what is disclosed in this statement. Company Women Fitness collects information from our users at several different points on our website. In order to use this website, a user must first complete the registration form. During registration a user is required to give their contact information (such as name and email address). This information is used to contact the user about the services on our site for which they have expressed interest. It is optional for the user to provide demographic information (such as income level and gender), and unique identifiers (such as social security number), but encouraged so we can provide a more personalized experience on our site. We request information from the user on our order form. Here a user must provide contact information (like name and shipping address) and financial information (like credit card number, expiration date). This information is used for billing purposes and to fill customer’s orders. If we have trouble processing an order, this contact information is used to get in touch with the user. This web site contains links to other sites. Please be aware that Women Fitness is not responsible for the privacy practices of such other sites. We encourage our users to be aware when they leave our site and to read the privacy statements of each and every web site that collects personally identifiable information. This privacy statement applies solely to information collected by this Web site. If a user elects to use our referral service for informing a friend about our site, we ask them for the friend’s name and email address. Women Fitness will automatically send the friend a one-time email inviting them to visit the site. Women Fitness stores this information for the sole purpose of sending this one-time email. The friend may contact Women Fitness to request the removal of this information from their database. When our registration/order form asks users to enter sensitive information (such as credit card number and/or social security number), that information is encrypted and is protected with the best encryption software in the industry – SSL. While on a secure page, such as our order form, the lock icon on the bottom of Web browsers such as Netscape Navigator and Microsoft Internet Explorer becomes locked, as opposed to un-locked, or open, when you are just ‘surfing’. While we use SSL encryption to protect sensitive information online, we also do everything in our power to protect user-information off-line. All of our users’ information, not just the sensitive information mentioned above, is restricted in our offices. Only employees who need the information to perform a specific job (for example, our billing clerk or a customer service representative) are granted access to personally identifiable information. Our employees must use password-protected screen-savers when they leave their desk. When they return, they must re-enter their password to re-gain access to your information. 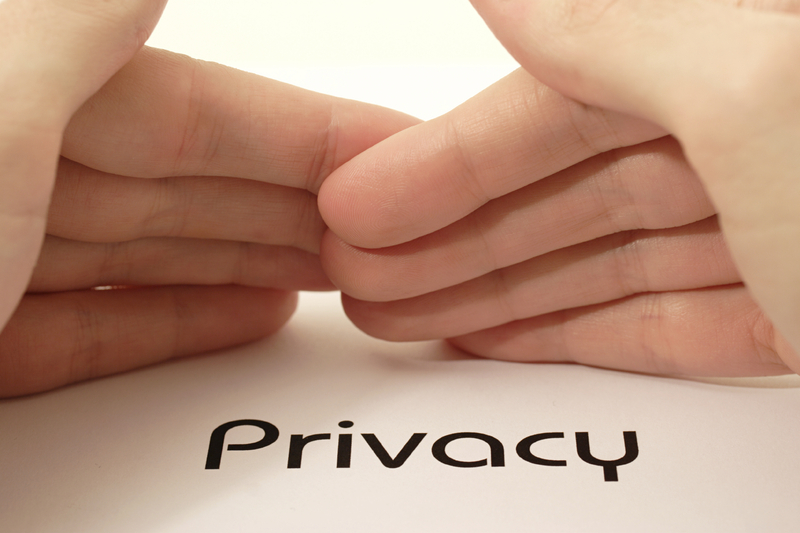 Furthermore, ALL employees are kept up-to-date on our security and privacy practices. Every quarter, as well as any time new policies are added, our employees are notified and/or reminded about the importance we place on privacy, and what they can do to ensure our customers’ information is protected. Finally, the servers that we store personally identifiable information on are kept in a secure environment, behind a locked cage. In order for this website to properly fulfill its obligation to our customers, it is necessary for us to supplement the information we receive with information from 3rd party sources. Our users are given the opportunity to ‘opt-out’ of having their information used for purposes not directly related to our site at the point where we ask for the information. For example, our order form has an ‘opt-out’ mechanism so users who buy a product from us, but don’t want any marketing material, can keep their email address off of our lists. You can Contact Us for such request. Users who no longer wish to receive our newsletter or promotional materials from our partners may opt-out of receiving these communications. You can Contact Us for such request. As our Fitness Program is a combined product compromising of access to member’s area of Women Fitness’s site and Personal Diet & Exercising Program. Hence, once you have made the payment and your username and password has been issued to you via email, no refund requests shall be entertained, as you have been provided access to member’s area of Women Fitness’s Website. Womenfitness maintains this Internet site as a service to the Internet community. The content (images and text) is the property of Womenfitness. You may download the content only for your personal, non-commercial use. The content may not be otherwise copied and/or modified. Womenfitness will use reasonable efforts to include accurate and up-to-date information, but makes no warranties or representations as to its accuracy or completeness. Womenfitness shall not be liable for damages of any kind arising out of your access or inability to access an Womenfitness maintained Web site or your reliance on the information contained within the Web site. Womenfitness requests personal information when you sign up for our services, including your name, email address, and other information in order to provide you with a personalized program. We will not disclose any of your personal information unless you authorize us to do so, the law requires it, or to protect the rights or property of Womenfitness. Any non-personal information, communications or material you send to Womenfitness by Internet electronic mail are on a nonconfidential basis. We are free to use and reproduce any such information freely, and for any purpose whatsoever. Specifically, we will be free to use any ideas, concepts, know-how or techniques contained in such information for any purpose, including developing, manufacturing or marketing products. Any information you send to Womenfitness must be truthful, legal, and not violate the rights of others. Please relay any questions you may have pertaining to our above stated policies to our Customer Service Department 314/381-6141, or Contact Us.